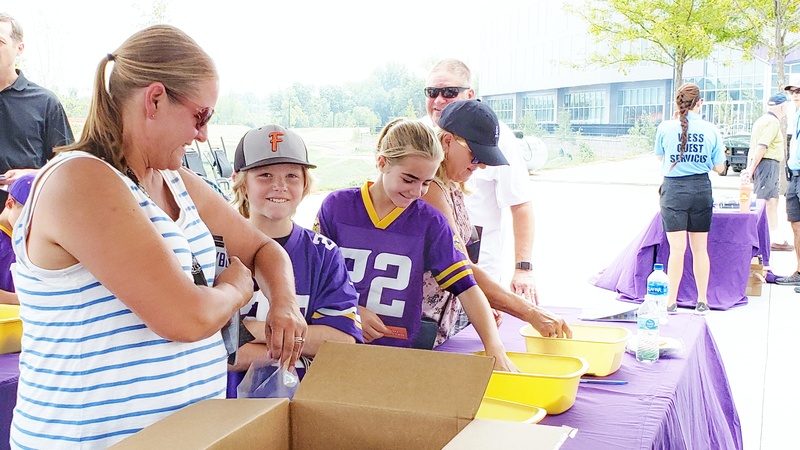 Despite soaring temperatures and high humidity on Tuesday, enthusiastic Minnesota Vikings fans packed over 1,600 MATTERbox Snack Packs at the Vikings’ new state-of-the-art training facility. 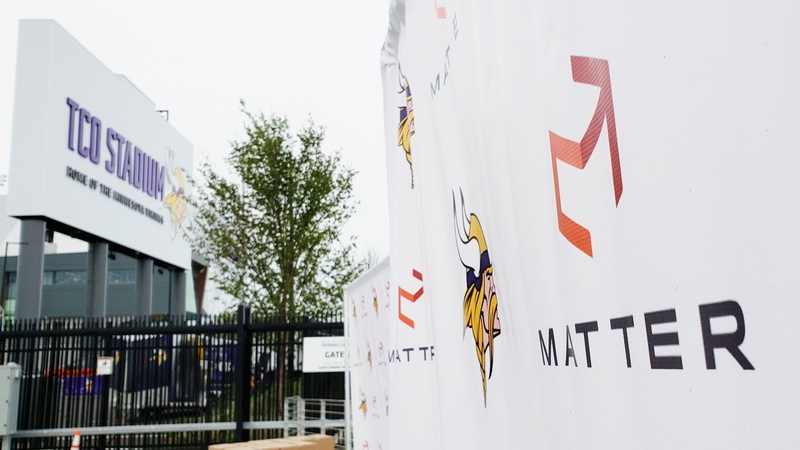 This surpassed last year’s number and scored a new record for our annual Vikings training camp packing event! 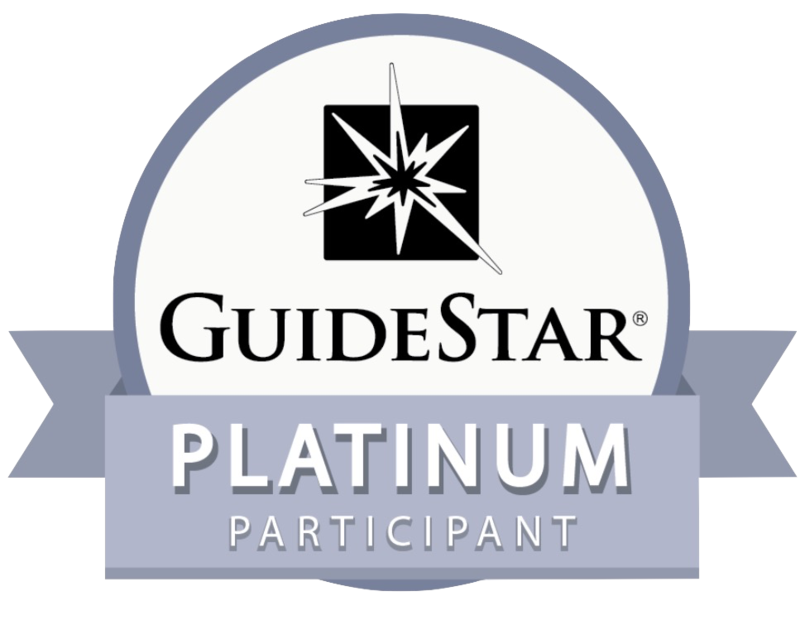 Distributed to children and youth in our community, each snack pack contains a delicious protein, a healthy carbohydrate, and a yummy fruit, along with a nutrition education card and a personalized note of encouragement. 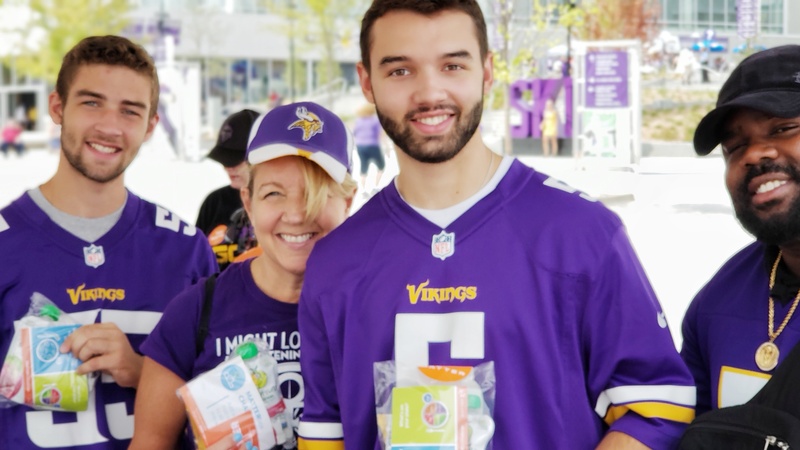 MATTER is grateful for our valuable partnership with the Minnesota Vikings and the Vikings Women who embrace our mission to increase access to healthy food in our communities. 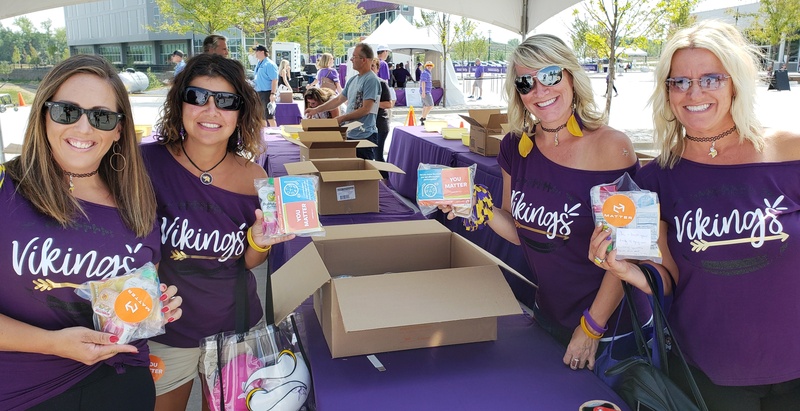 In addition to the annual training camp packing event, players Kyle Rudolph and Xavier Rhodes use MATTERbox Snack Packs at their summer football camps for youth. 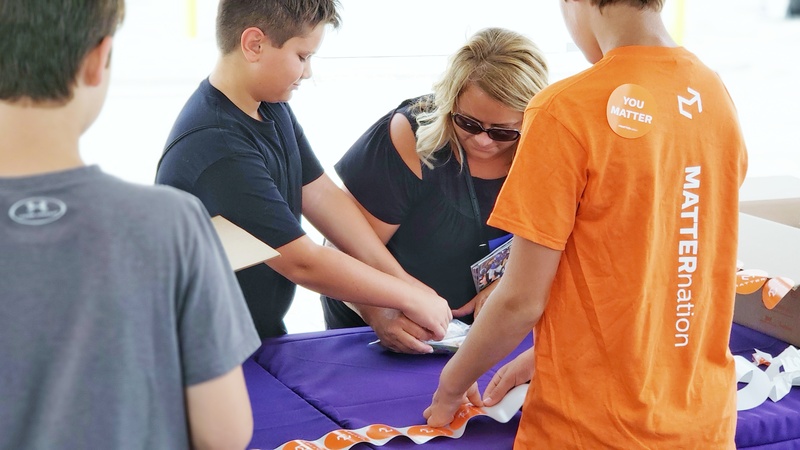 The young attendees get a nutritious boost of energy in the middle of their strenuous camp day and learn the important connection between eating healthy and optimal performance for sports and school. 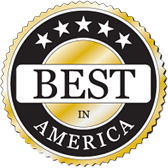 We wish the Vikings well in their upcoming season, and thank them for their generous support!